Bonus PointsBalance Transfer Earn up to 200,000 bonus Citi reward Points. 0% p.a. on balance transfers for 12 months and a reduced annual fee of $49 p.a. in the first year. At the end of the 0% p.a. balance transfer offer for 12 months, the interest rate reverts to the cash advance rate. Annual fee reverts to $149 p.a. thereafter, unless you qualify for a 50% annual fee discount by spending $24,000 in the previous year. Earn 10,000 bonus Points with a Linked Diners Club Card. Simply request a Linked Diners Club Card when you apply, and spend on it within 90 days of approval, to earn an extra 10,000 bonus Points. The Citi Platinum (Bonus Rewards Offer) credit card offers 10,000 bonus Citi rewards points per month for 20 months from approval when you spend $1000 or more in each statement period, allowing you to earn up to 200,000 bonus reward points. Cardholders can also benefit from 12 months’ interest-free on balance transfers, with no balance transfer fee. The Citi Platinum (Bonus Rewards Offer) has a high interest rate, a moderate amount of interest-free days and a moderately low 12-month introductory annual fee, which then reverts to a moderately high ongoing fee. However, this can be discounted to a moderate annual fee provided you spend more than $24,000 in the preceding year. It’s also possible to apply for a Linked Diners Club Card, and earn a further 10,000 bonus points when you make your first spend on this card. You’ll earn 1 point per eligible $1 spent on both domestic and international transactions. If you request and are approved for a Linked Diners Club Card, you’ll get 2 points per dollar on eligible transactions. On domestic spends, points are capped at 10,000 per statement period with no cap on international spend. Points can be redeemed as a statement credit back or can be converted to cashback. You also have the option of transferring into frequent flyer miles or redeeming for merchandise in the in the Citi Rewards Store. The Citi Platinum (Bonus Rewards Offer) credit card is packed with all the bells and whistles of a platinum card. From international travel insurance, purchase cover insurance and extended warranty insurance to presale tickets thanks to Visa Front Line Access and a 24/7 complimentary concierge service – this card is not short on features. The Citibank Dining Program means a complimentary bottle of wine when you pay using your Citi card. But the interest and cash advance rates are high, so if you don’t pay your monthly balance in full, this card could get costly. And, as with many other rewards cards, there is a moderately high annual fee. For those looking to consolidate debt, this card offers a balance transfer period of 12 months’ interest-free, with no balance transfer fee. It’s worth noting that the remaining balance then reverts to the high cash advance rate. If points and features are what you’re looking for, the Citi Platinum (Bonus Rewards Offer) credit card may be the card for you. It’s packed with complimentary extras and lets you earn up to 200,000 bonus points for cardholders that spend $1000 on the card per month for 20 months from approval. Cardholders looking to consolidate debt and access premium extras might find value in the 12 months’ interest-free balance transfer, with no balance transfer fee. It’s worth pointing out that this reverts to the higher cash advance rate, which can make this an expensive option. There is flexibility in redeeming reward points which can be used as a credit on your account, converted to frequent flyer points or spent in the Citi Rewards Store. If you’re on top of your repayments and are looking for a premium card stacked with features, this card might be suitable. To be eligible for the Citi Platinum (Bonus Rewards Offer), you need to be a permanent resident of Australia and be at least 18 years old. You will need to provide proof of employment, earn more than $35,000 a year and provide details of your monthly expenses. Applications can be made online through the Citi website. The process takes 15 minutes, and you’ll be notified of the status of your application shortly after. Citibank Australia is part of Citigroup, one of the world’s largest financial services organisations. Citigroup has a presence in over 100 countries and has been providing consumer finance to Australians since 1985. Besides credit cards, Citigroup offers foreign currency deposits, home loans, savings accounts, special lendings, term deposits and insurance. Citibank offers 24/7 phone support, email support and has a handful of branches in New South Wales, Victoria, Queensland and Western Australia. 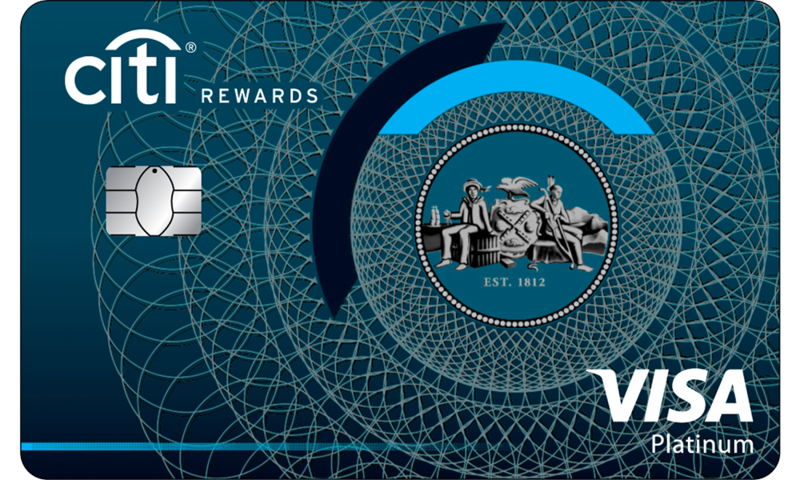 To be eligible to receive up to 200,000 bonus Points, you must apply for a Citi Rewards Platinum Credit Card by 31 March 2019. You will receive 10,000 bonus Points when you spend a minimum of $1,000 during each monthly statement cycle. A maximum of 200,000 bonus Points can be earned over the first 20 monthly statement cycles. If you do not meet the minimum spend for one monthly statement cycle, you forfeit the bonus Points for that monthly statement cycle only, however you are still eligible for subsequent months 10,000 bonus Points if you meet the minimum spend within each monthly statement cycle during the promotional period. Cash Advances, Balance Transfers, Refunds, Chargebacks and Special Promotions do not contribute to the spend threshold. The bonus Points will be credited within 6 - 8 weeks of meeting the spend criteria for any given month. All rewards are subject to the Terms and Conditions of the Citibank Rewards Program. Points do not expire while the card remains open and in good standing. Please note that if you have a balance transfer, you will be charged interest on any spend that you make. This offer is valid until 31 March 2019. Post this advertised date; Citi reserves the right to continue, withdraw or change the offer at any time without notice. Separate Diners Club Terms and Conditions apply to a Linked Diners Club Card as it is a separate credit facility from Diners Club that is paid through your Citi credit card. Eligibility criteria apply including that you must be approved for an account that is eligible for a Linked Diners Club Card. Diners Club has appointed Citi to administer the Linked Diners Club Card. Any credit balance on the Linked Diners Club Card is not a deposit liability of Citi, or any other affiliate of Citi, is not a protected account and is not guaranteed. All rewards on your Linked Diners Club Card are subject to the terms and conditions of the Citi Rewards Program and the Additional Rewards Terms – Linked Diners Club Card with Citi Prestige Credit Card and Citibank Rewards Credit Card Signature. For more information, please refer to the Terms and Conditions here. Eligible Transaction is defined in the Rewards Program Terms and Conditions and means any purchase excluding (but not limited to) cash advances, balance transfers, special promotions, BPAY payments, government related transactions and all other transactions set out within the definition. Please click here for the full definition of Eligible Transactions. Points do not expire while the card remains open and in good standing. No International Transaction Fee is only applicable for transactions made on your Linked Diners Club Card; including on the amounts transferred to your Citi Credit Card. If you transact using your Citi credit card, an International Transaction Fee will be charged (where applicable).